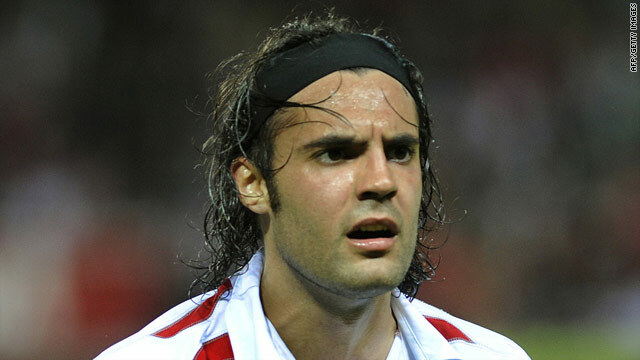 Sergio Sanchez is the latest in a series of Spanish footballers to suffer from heart-related problems. (CNN) -- Spanish club Sevilla have been rocked by the news that defender Sergio Sanchez has been ruled out for an indefinite period due to a heart problem. The 23-year-old has been advised to stop all physical activity and must have further medical tests. The news comes just two years after Sevilla midfielder Antonio Puerta collapsed during a game and later died due to cardiac arrest. Sanchez joined the club in July 2009 from Spanish rivals Espanyol, whose captain Dani Jarque died at the age of 26 when his heart stopped after a pre-season training session in August. Another Spanish player, Ruben de la Red of Real Madrid, has been unable to play since collapsing during a Copa del Rey tie in October 2008 with what doctors suspect is a heart-related problem. Sanchez has returned to his home city of Barcelona to be with his family before being examined by doctors. "Imagine [how we feel] considering what we have been through here," coach Manuel Jimenez told Sevilla's Web site. "With the precedents that there are it's wise to be cautious, and you have to congratulate the doctors and cardiologists who examined him." Captain Andres Palop was also worried about his teammate's condition. "The dressing-room is concerned, we were not expecting news like that," he said. "The important thing is his life, they've taken these measures for his own good. We hope that the specialists help him to remain active. The good thing is that it was detected in time." Sanchez has made seven Primer Liga appearances for high-flying Sevilla this season, plus three in the Champions League.